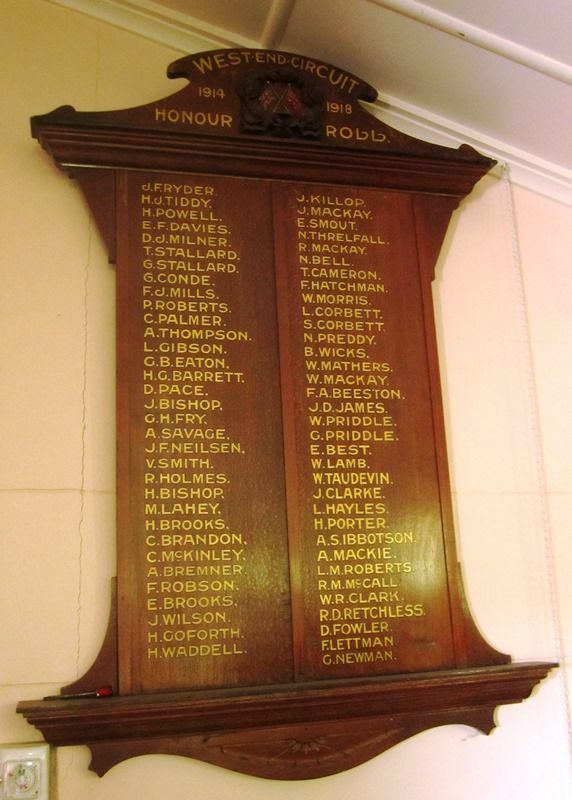 A wooden honour roll commemorates those from the West End Methodist Circuit who served in World War One. In the West End Methodist Church last night Rev. 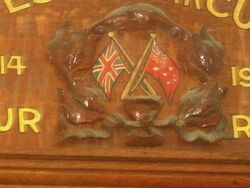 W. Brown (President of the Conferemce) unveiled the honour roll, on which were inscribed the names of 59 members of the congregation who have answered the call of King and country. The board, which bears the names of the members of the West End, Hill End and Merton-street churches is made of silky oak, with the names inscribed in gold lettering with black outlines. Rev. W. Brown (President of the Methodist Conference), in unveiling the roll, referred in glowing terms to the noble manner in which the men had gone forth to fight the foe. The Brisbane Courier (Qld), 24 April 1917.